Qatar wants talks with FIFA to discuss the logistics of increasing the 2022 World Cup to 48 teams. FIFA president Gianni Infantino said on Thursday he was receptive to a request from South American football nations to fast-track the jump from 32 to 48 teams at World Cups by four years. Qatar wants talks with FIFA to discuss the feasibility of increasing the 2022 World Cup to 48 teams after soccer's governing body expressed interest in enlarging a tournament already having to overcome operational challenges. The Gulf nation took two days to publicly respond to calls on Thursday from South American football nations to fast-track the jump from 32 to 48 teams at World Cups by four years. 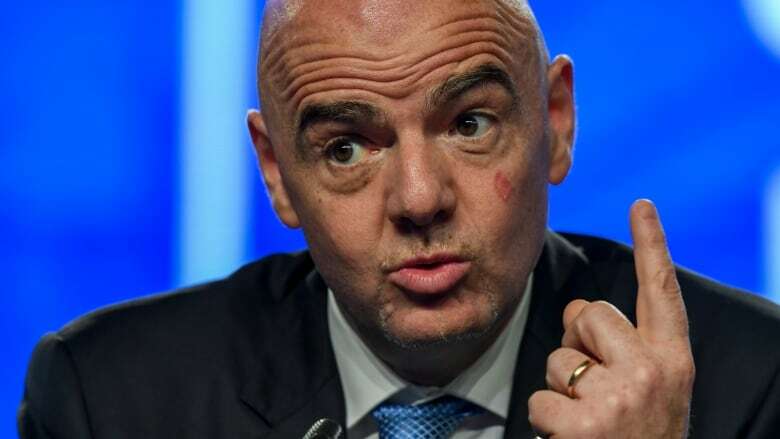 FIFA President Gianni Infantino, who has already secured approval for World Cup expansion from 2026, has said he is receptive to the CONMBEOL request while acknowledging a feasibility study was required. Qatar's infrastructure, which is being rapidly developed to cope with the World Cup, will already be stretched by the requirements of staging the Middle East's first World Cup. Enlarging the tournament would see the number of games rise from 64 to 80. "Before any decision is taken it is important that discussions are held on the operations and logistics of an increase in size of the tournament in Qatar," the Qatar World Cup organizing committee said in a statement to The Associated Press on Saturday. "Regardless of the outcome, we are confident in our ability to deliver a successful World Cup in 2022." The tiny desert nation has only eight stadiums planned for the event and expanding the tournament might work only if the additional games are shared in the region. The tournament is already due to operate on a tight 28-day schedule to minimize the disruption caused to the European season. Rather being staged in the usual June-July slot, the 2022 World Cup was shifted by FIFA to November-December because of the extreme summer heat. Preparations for the event are being disrupted by the ongoing boycott by neighbours, including Bahrain, Saudi Arabia and the United Arab Emirates, who severed diplomatic and travel links with Qatar in June 2017.